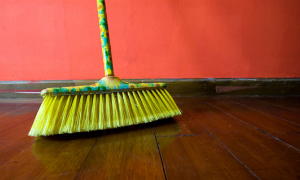 Is that time of the year again when you need to provide a thorough clean to your house? 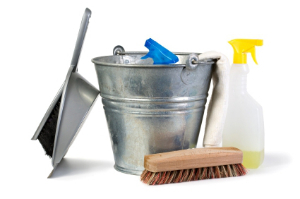 When spring is on the way, lots of people consider carrying out spring cleaning to make their homes a healthier place. Unfortunately, not all of them have enough free time for this, which is why they hire our cleaning agency. We have been in the cleaning sector for a long time and we specialise in spring cleaning. We offer you reasonable prices, high-quality results and expedite service. Our commitment to the job has been one of the main reasons for our success. Our business is operated in London. For now, we serve a few districts. First we clean the areas that you use the most such as living areas and bedrooms. We pay special attention to kitchens and kitchen appliances. Furniture is another trap for bacteria and dust mites. We have special steam cleaning machines that provide amazing results. They can easily remove dirt, leaving a fresh and sanitised surface. The results are visible in the months to come. Carpets are very susceptible to dirt and bacteria. They receive heavy traffic every day. Due to their fibres dirt is easily embedded into the fabric. We have a great solution to this problem. It’s called hot water extraction. We use this method for cleaning furniture as well. Our company is full of experienced cleaners. They know how to remove stains in a safe and efficient way without damaging the surface. Their skills and expertise have no limits. They use a number of cleaning methods and techniques. As we mentioned, we use hot water extraction. It’s a very efficient, safe and powerful method for cleaning deeply embedded dirt and stubborn stains. Due to the high temperature and pressure, dirt is lifted from the surface and destroyed. We also use a great deal of cleaning products. The best part is, they are not chemically-based, as we do everything to protect your family and nature. You will be impressed by our work, we guarantee excellent results. Now, if you want to get in touch with us, it’s best to call us. Another way is to e-mail us. No matter the means you choose, just let us know you need us and we’ll help you.